Lizette Rabe was born on 14 February, 1957. 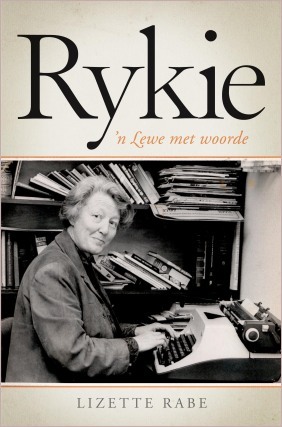 In Jan 2001 she was appointed Head of the Department of Journalism, Stellenbosch University. 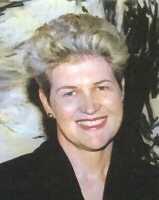 In 2009 she received the HB and MJ Thom-bursary for academics to do extensive research. Lizette is married to Anton Hörstmann and they have three sons, Carl, Fritz and Hein. Fritz, a brilliant 4th year medical student, died tragically in 2009. Lizette and her husband are both fifth generation descendants of the German immigrants to Philippi (the Wohlde branch). Lizette dedicated her book, Bete und Arbeite - The Philippi Germans and their story, to the memory of Fritz. This book is now in its second print run. As it is in aid of the Lutheran community centre Ithemba Labantu (Hope for the People) in Khayelitsha, outside of Cape Town, it can only be ordered directly from the author: . It costs R175, plus R25 postage. Of the first print run, a total of R40 000 could be donated to the Centre's Aids Hospital, with which they have bought haemoglobin meters and much needed new linen for the 15 bed hospital. All proceeds of this book go towards the iThemba Labantu Centre in Khayelitsha, the community service centre now located in the old Neu Eisleben church, established by the German settlers. Openingsspreker en spreker by etlike konferensies van vroueorganisasies, bv JDD en VLV.